It might get difficult for one to choose the best mobile for himself because there are a number of mobile brands in the market which might seem to off the best phone. But if you really want to buy the best phone within your budget, then the way to do it is compare the top notch phones going through their specifications in detail. Some are good in battery backup while some have a good camera. The following post will innumerate and shed some light on the best mobiles under 10000. The Xiaomi Redmi 4 flaunts a 5 inch HD screen, 2GB RAM and 16 GB ROM expandable up to 128 GB. There is the primary camera of 13 and the front camera of 5 MP on the device. The non-removable lithium polymer battery is of 4100 mAh and the operating system is Android Marshmallow. This Chinese brand is much known these days for its power pack device. There are many features which usually one can get in a high-end device only, but this brand helps the buyer to enjoy such features within their budget. The Xiaomi Redmi 4 A flaunts a 5 inch HD screen, 2GB RAM, and 16 GB internal memory with 128 GB expandable external memory. The primary camera is of 13 MP, and the front camera is of 5 MP. The non-removable lithium polymer battery is of 3120 mAh. It has Android Marshmallow as its operating system. It is another device from Xiaomi that has taken the market to storm by its budget and features on the device in such a budget phone. The camera results of the device are also known for their popularity in the market. The Nokia 3 has an HD screen of 5-inch with a 2 GB RAM and 16 GB internal memory expandable up to 128 GB. The primary and the front camera is of 8 MP. The non-removable lithium polymer battery is 2630 mAh and Android Nougat is its operating system. The device from the telecom giant has made it in the race of the leading market brands these days. The obvious reason behind its popularity is the price factor. The Moto E4 Plus has an HD screen of 5.5-inch with a 3 GB RAM, 32 GB internal memory with an expandable memory of 128 GB. The lithium polymer battery is of 5000 mAh, the front camera is of 5 MP, and the rear camera is of 13 MP. The operating system is Android Nougat. It is a device with the best memory, latest Android version and also a huge expandable memory that can help the buyer get the best out of the device as a result of camera images and video shoots. 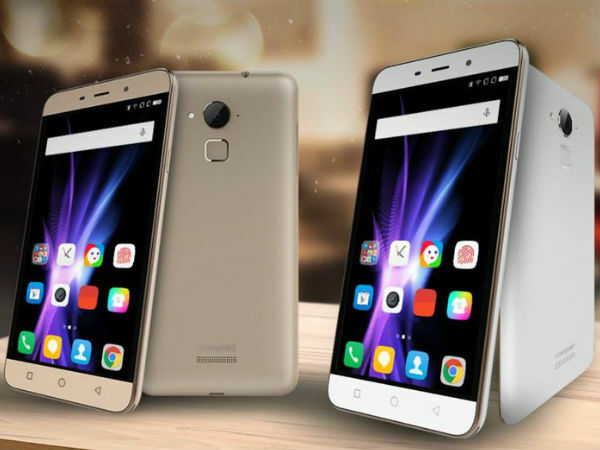 The Lenovo K6 Power flaunts a full HD screen of 5-inch, 3 GB RAM and a 32 GB internal memory expandable up to 128 GB. The primary camera is of 13 MP, and the front camera is 8 MP. The non-removable lithium polymer battery is of 4000 mAh. The operating system is Android Marshmallow.Those who love to have a device with more internal and external memory; this is an ultimate device in a limited budget. The brand is also much known for its effective and quality appliances. The OppoA 37 flaunts a screen of 5 inch, with 2 GB RAM, 16 GB ROM expandable up to 128 GB. The primary camera here is of 8 MP, and the front camera of 5 MP. The lithium polymer non-removable battery is of 2630 mAh. It has Android Lollipop as itsoperating system. Much known as the camera phone, this device is famous for its stunning images and video clips that one can have with the help of its beautiful camera. The Samsung Galaxy J2 has a screen of 5 inch with 1.5 GB RAM and 8 GB internal storage expandable up to 12 GB. The non-removable lithium polymer battery is of 2600 mAh. The primary camera is of 8 MP, and the front camera is of 5MP. The operating system is Android Marshmallow. For a standard user, this device is also much helpful as it is available in a limited budget and from a leading brand which can assure the best of the facilities in terms of service. The phone has a full HD screen of 5.2 inch with 3GB RAM and an internal storage space of 16 GB expandable up to 64 GB. The primary camera on this device is of 13 MP, and the front camera of 5 MP. The lithium polymer battery is of 2900 mAh,and the operating system is Android Lollipop which can be upgraded to Android Marshmallow. The known Indian brand is famous for its quality as well as other features that are much loved by the users these days. The Moto C Plus flaunts an HD screen of 5 inch with a 2 GB RAM and 16 GB internal memory with an expandable memory up to 32 GB. The lithium polymer battery is of 4000 mAh, and the operating system is Android Nougat. The primary camera is of 8 MP and the front camera of 2MP. From the house of a renowned brand this device also offers the best of the user interface that can help the buyer get the tasks done easily. The Vivo Y53 flaunts a 5-inch screen 2 GB RAM with an internal memory of 16 GB which can be expandable up to 256 GB. The lithium polymer battery is of 2500 mAh. The primary camera is of 8 MP and the front camera 5 MP. The operating system is Android Marshmallow. It is another Chinese brand famous for its camera than any other features.